Order & receive your wood veneer packages within 48 hours! Sauers & Company Veneers is your premier source for high quality wood veneers produced in the USA. We have over 40 years of experience providing superior products and quality service to our clients in the New York City area, and our wood veneer packages can be customized to your exacting specifications and delivered to your door within 48 hours of placing your order. Depending on your project, we’ll work with you to determine the size you require for your wood veneer packages while offering you competitive prices for our high quality exotic and domestic wood veneers. 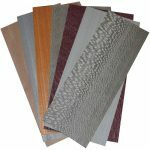 Our wood veneer packages can also be customized for any type and quantity. Whether you want to include a wood veneer variety pack, only full-length veneers, or a bulk order for hundreds of pieces that need to meet your specific size requirement, we can accommodate any request and meet your specific needs, every time. Our standard wood veneer packages accommodate a set size that makes it easy to calculate your required quantities. For example, we offer 3-square-feet packages, 4-square-feet packages, 6-square-feet packages, 12-square-feet packages, and more. Your satisfaction is our top priority, and we know when it comes to ordering wood veneer packages you want to make sure you’re ordering the right package for your needs. That’s why we provide complimentary consultation services to ensure that you’re getting the right wood veneer package for your project, and we’ll provide you with any support you need along the way. Give us a call today! At Sauers & Company Veneers, we create wood veneer packages for residents of Anaheim, Los Angeles, and San Francisco, California; Dallas, Texas; New York City; Chicago, Illinois; Boston, Massachusetts; Charlotte, North Carolina; and anywhere else in the United States. Click on the bars below to see lists of our Hobby Packs. Our Hobby Kits come in a Wide Variety of Sizes and Color Combinations. Contact us today to learn more.